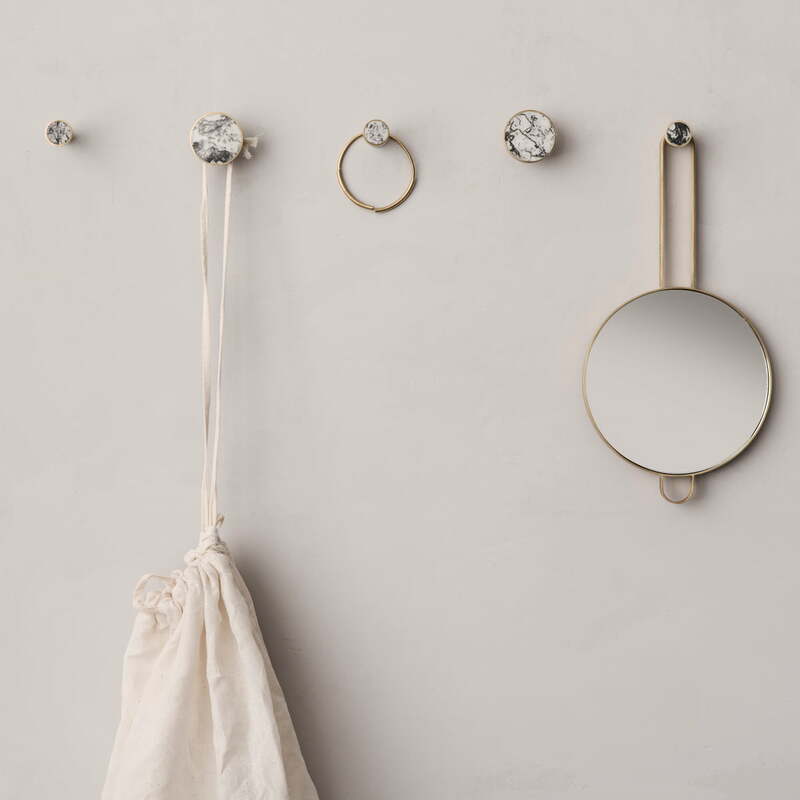 The Stone wall hooks by ferm Living make it possible to instantly add character to a wall or piece of furniture. 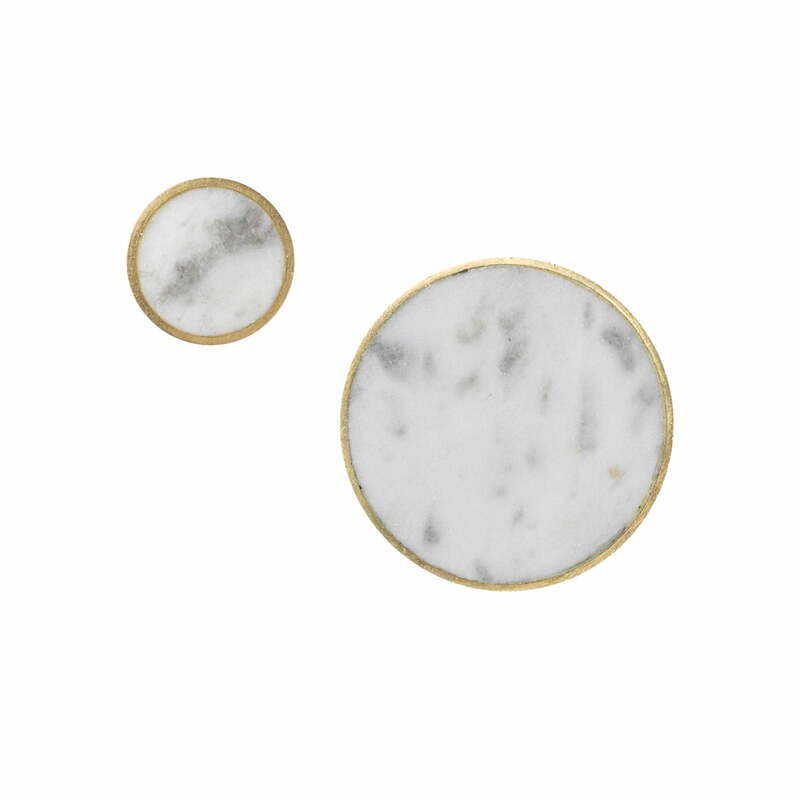 The circular designed hooks are made of brass and fitted with a marble core. The combination of brass and marble provides a modern appearance that will attract attention in any room. In the entrance area, they can serve as elegant coat hooks, while in the kitchen, the small or large models are ideal to hang up tea towels and potholders. Alternatively, the hook can also act as a knob for chest of drawers or cupboard doors to add a personal touch to your favourite pieces of furniture. 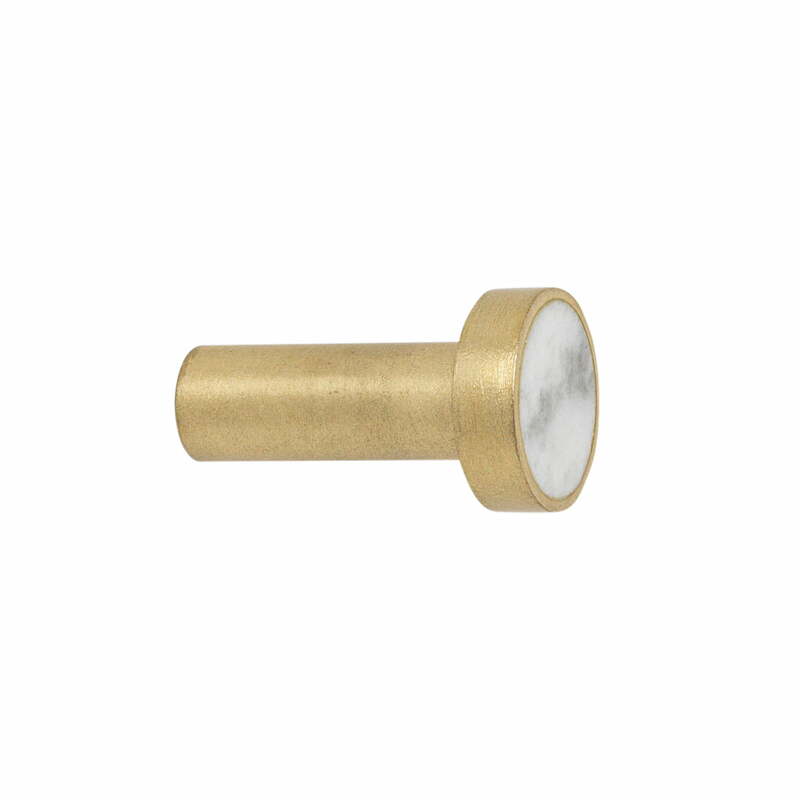 They are easily fitted thanks to the integrated screw. Isolated product image of the small ferm Living - Stone Wall Hooks made from brass / white marble: They are easily fitted thanks to the integrated screw. 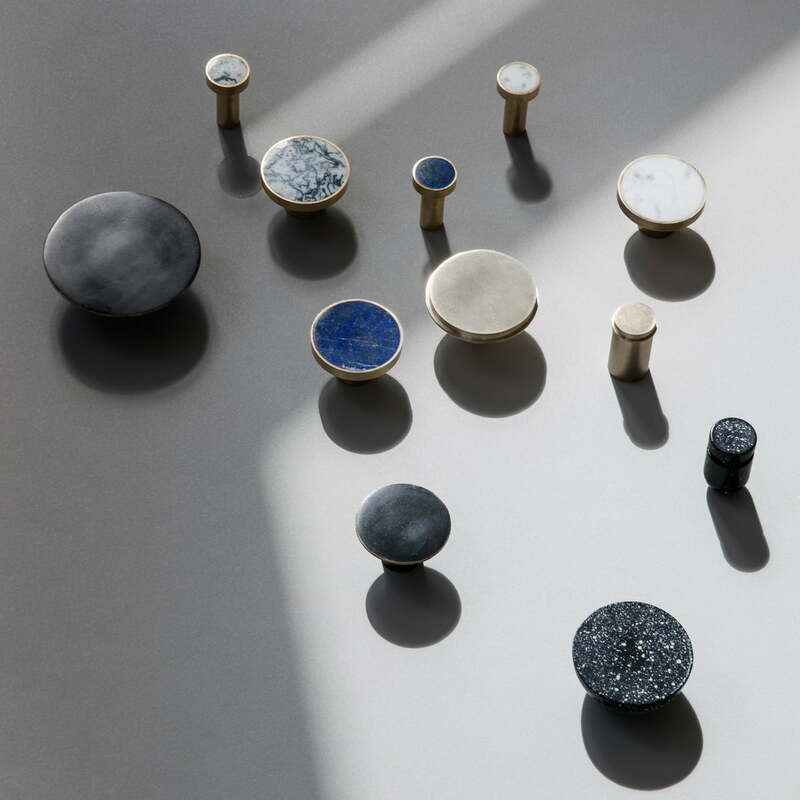 Group product image of the ferm Living - Stone Wall Hooks in Brass / White Marble: The circular designed hooks are made of brass and fitted with a marble core. Lifestyle product image: In the entrance area, they can serve as elegant coat hooks, while in the kitchen, the small or large models are ideal for teatowels and potholders. Group product image of the ferm Living - wall hooks. 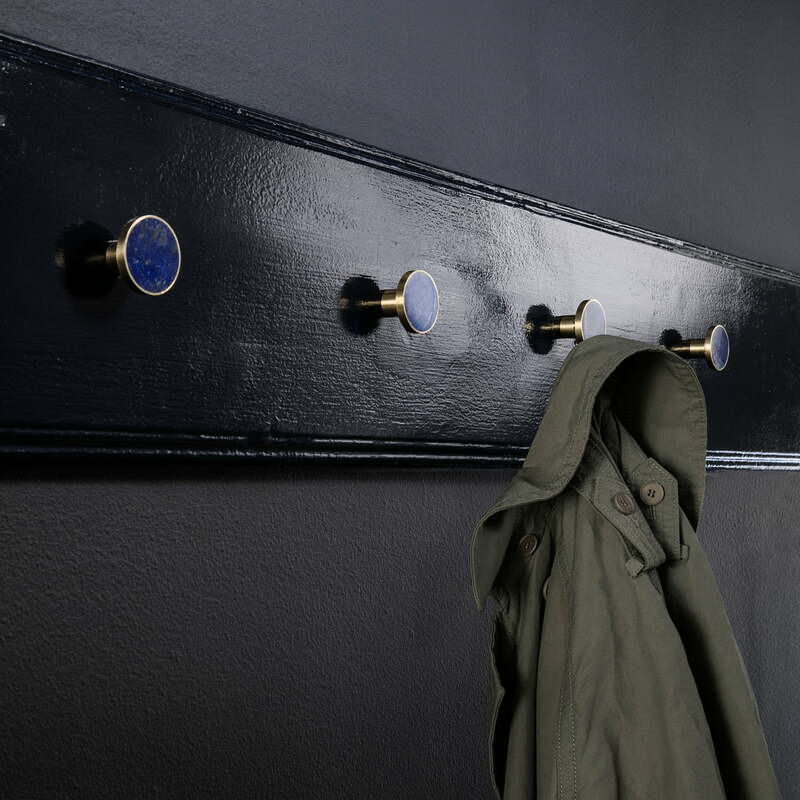 All wall hooks by ferm Living can be perfectly combined with each other to create a personalised hallway where clothes and bags can be hung up. Lifestyle product image of the ferm Living - wall hooks. 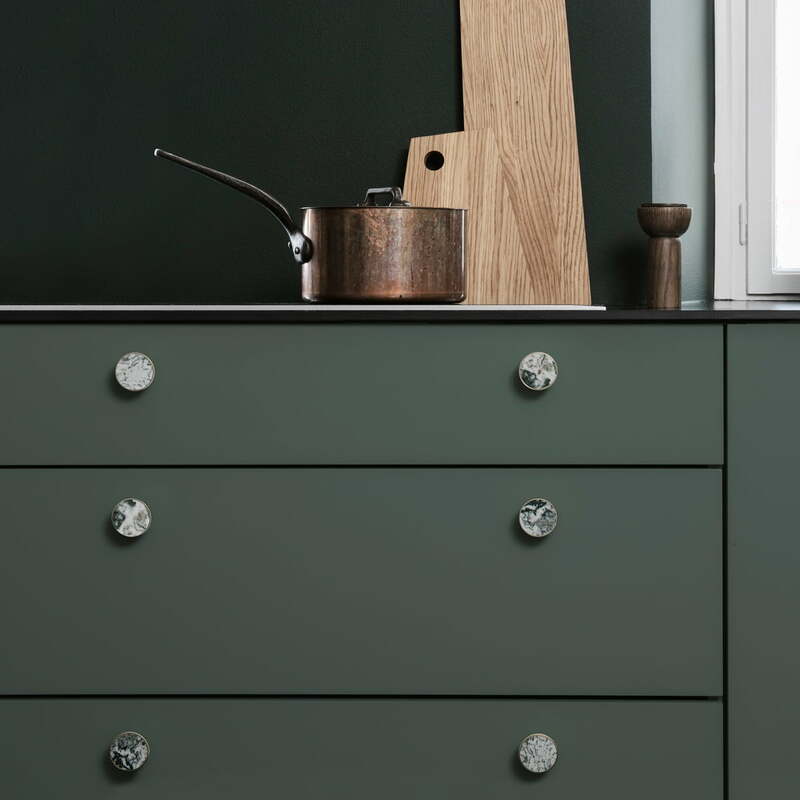 The hooks by ferm living can also be used as knobs for the chest of drawers or wardrobe doors. Group product image of the ferm Living - wall hooks. The wall hooks by ferm living can be combined according to personal taste and needs and used in a variety of different ways.